Located along the Pacific Ocean, Ecuador is found in the northwest portion of the South American continent. Its name is reflective of its location along the equator of the planet. Fishing has always been part of the local culture because of this geographic location. 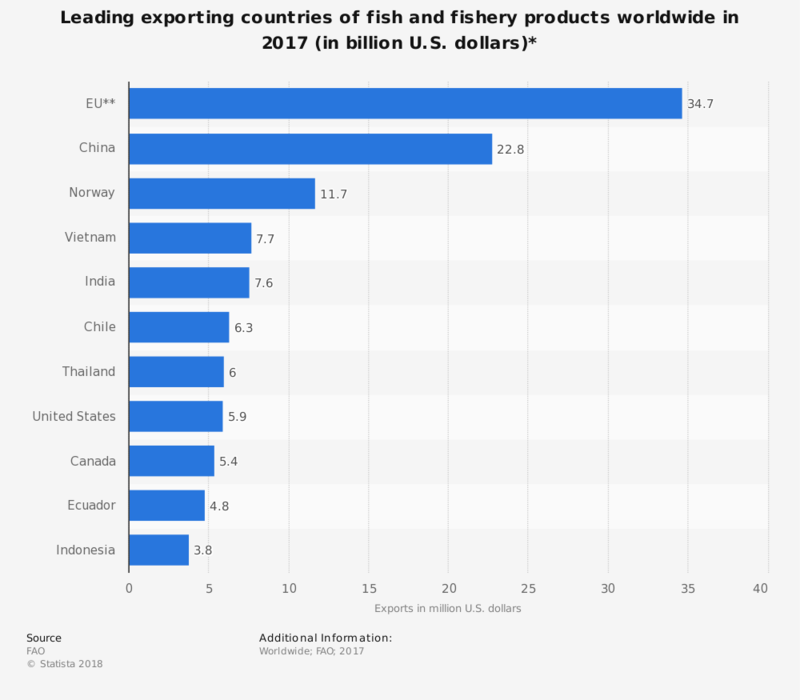 The reason why the fishing industry is so strong for this country is because there are two major ocean currents which come together at this location as well. The El Nino current meets the Humboldt Current, creating a blend where cold and warm waters come together. This creates an abundance of sea life that thrives within the nutrient-rich waters. Much of the industry is focused on shrimp and tuna. Sport fishing opportunities for marlin contribute to the industry as well. With warm bays and a natural infrastructure to support aquaculture, the Ecuador fishing industry is one of the strongest economic drivers of this small nation. #18. There are over 230 fishing villages and ports located along the coast of Ecuador. (University of British Colombia. Even with heavy levels of fishing and commercialization, the fishing industry in Ecuador continues to thrive. It benefits from a tropical location and a favorable ocean location where cold and warm water currents come together. As the waters mix, nutrients reach both biomass types, and that creates enormously favorable fishing conditions. There have been declines in the fishing sector, especially within the tuna industry, since 2015. Price instability has driven profits for the Ecuador fishing industry to lower-than-expected levels. Declines in exports to major trade partners has created an excess of supply that was unexpected. Although new customers have stepped forward to offset losses, there is still a high level of uncertainty found in the market. Pricing is the primary challenge facing this industry today. As other markets get involved with tuna exports, the higher levels of supply and competition drive prices downward for the industry. With some countries reducing their orders at the same time, a perfect financial storm has hit the industry as well. Lower profits mean fewer jobs in the country and that trend will continue unless the industry increases production capacity or other tuna producers reduce their outputs.